For the first time you can experience the magical feeling of holding an enchanted creature in your own hands! When the lights go out these super cute little star fairies called Glimmies will shine bright in the dark and when you put them in the light they will hide their lights! 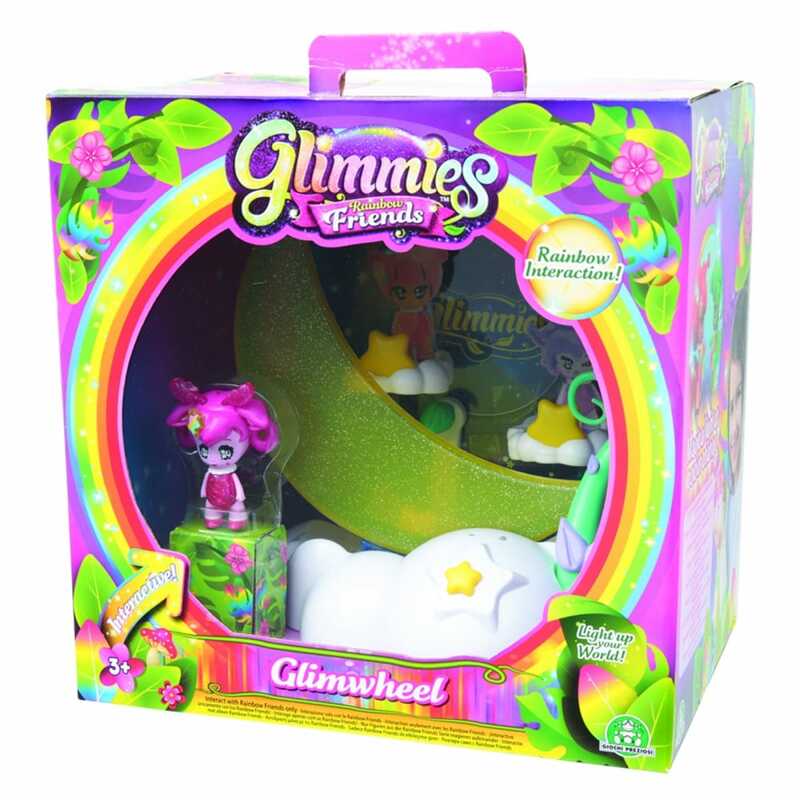 Hold your Glimmies Rainbow Friends together in your hand and they will interact with each other by changing colour! The Glimwheel magically spins in the dark! Thanks to the daylight mode it will spin in daylight too! Place up to 3 Glimmies on the Glimwheel and watch them enjoying a ferris wheel ride! This playset comes with 1 Exclusive Glimmie Rainbow Friend to add to your Glimmies collection. Contents: 1 x Glimmie with light-up and interactive function, 1 x Glimwheel, 1 x Collectors Guide and Batteries.